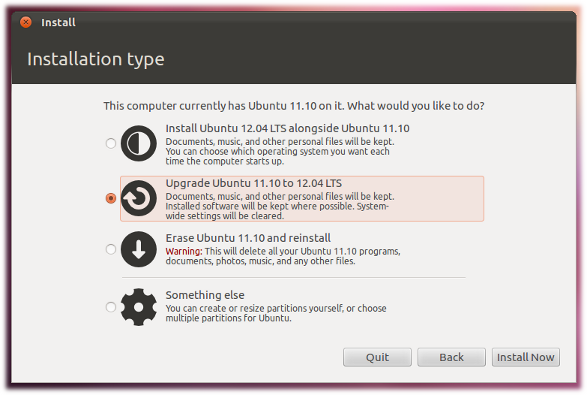 How do I upgrade to a newer version of Ubuntu? This answer summarizes the recommended community upgrade process. You should always read the release notes for any potential issues that may affect your upgrade. Can I afford to lose any/all my data such as documents and files? If the answer is no – then backup your installation. 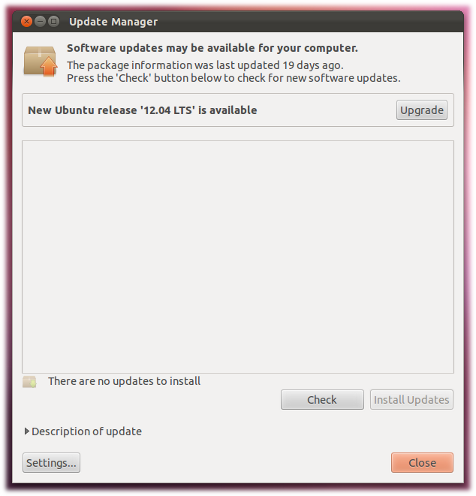 Upgrading Ubuntu works 99 times out of 100 – a backup will save you lots of frustration later if things do go wrong. If you have downloaded and installed proprietary drivers manually directly from the manufacturers website then the recommendation is to remove these drivers first and revert to the open-source drivers before upgrading. Potentially what can happen is that a /etc/X11/xorg.conf file will remain after the upgrade and subsequently on first reboot, you will boot into a ‘black screen’. How do I remove ATI/AMD Drivers downloaded from their site? During the upgrade, any PPA sources you may have added will be automatically disabled. Generally, PPAs do not affect the upgrade process. Your 13.10 upgrade program will alert you of the new release and offer an upgrade. If this does not happen then see the trouble-shooting section below. For desktop and server editions. Immediately after a Ubuntu release, the download servers are extremely busy. Thus, if you can, we suggest to wait a few days if you want to upgrade. Alternatively, download using a bittorrent client such as Transmission, the official desktop ISO torrent. Click the Check button to check for new updates. 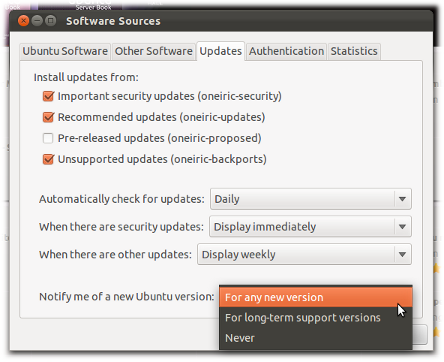 https://help.ubuntu.com/community/TrustyUpgrades for more information on some alternate methods of upgrading for certain cases. If you are using 10.04 LTS/12.04 LTS or 11.10/13.10 and you either insert the live CD or boot from the live CD to start installing it will give a option of upgrading to 12.04/14.04. It will automatically detect installed applications and install the updated version of your applications also. If you download an ISO, the recommendation is to perform a md5sum check to ensure both the ISO downloaded and the burned CD are valid. 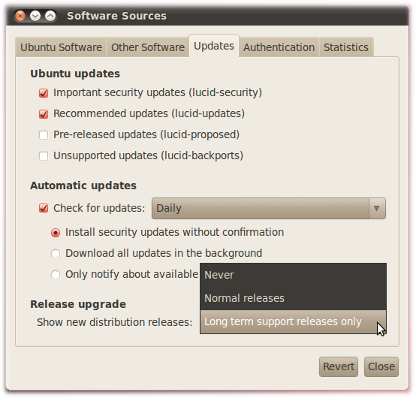 Upgrades between LTS releases are not enabled by default until the first point release, It is recommended that most LTS users wait until then before upgrading. If you choose to upgrade before then, you can pass the -d option to the upgrade tool, running do-release-upgrade -d or update-manager -d, to upgrade from vanilla 10.04/12.04 to 12.04/14.04.